This post was originally created on 31st October 2018, and has since been updated to include all the latest boots for 2019. Pinpoint crosses. Flamboyant footwork. Sheer, unrelenting pace. These are the weapons every dangerous winger should have in their locker. Not every player is born with the ability to beat a man and get in behind defences. This is a gift reserved for only a select few, turning them into the biggest threat on the football pitch and causing the opposition all kinds of headaches. Deadly, dangerous and almost impossible to deal with, a great winger will have all the attributes to set up his teammates and get himself on the scoresheet. Of course, they need to find the perfect pair of football boots to unlock this ability. So, what are the best football boots for wingers in 2019? Every great winger needs to have pace and power in abundance. Fortunately, those two attributes are at the very heart of the adidas X 18+. Designed to enhance speed and allow players to unlock their blistering pace, the X is worn by some of the quickest players on the planet. The Skeletalweave upper is lightweight and responsive; the laceless construction offers a clean strike; while the Clawcut collar provides a stable and comfortable fit. In short, it’s tailored for players that love to bust a gut down the wing and leave defenders in the dust-- and it’s the ultimate weapon for anyone boasting unstoppable pace. 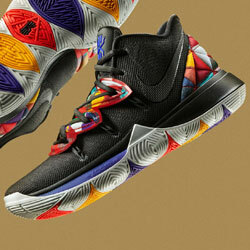 Oh, and there are plenty of slick colourways for you to choose from, too. adidas ‘Team Mode’ X (Solar Yellow), adidas ‘Shadow Mode’ X (Core Black), adidas ‘Energy Mode’ X (Football Blue/Solar Yellow), adidas ‘Spectral Mode’ X (White/Off-White). Who Wears Adidas X 18+? 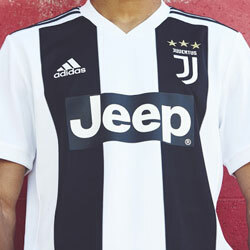 Mo Salah, Paulo Dybala, Son Heung-Min, Erik Lamela, Gabriel Jesus, Angel Correa, Theo Walcott, Lucas Moura. Since the tagline is “Fast By Nature”, it should be pretty obvious that the Nike Mercurial is another boot designed with speed in mind. 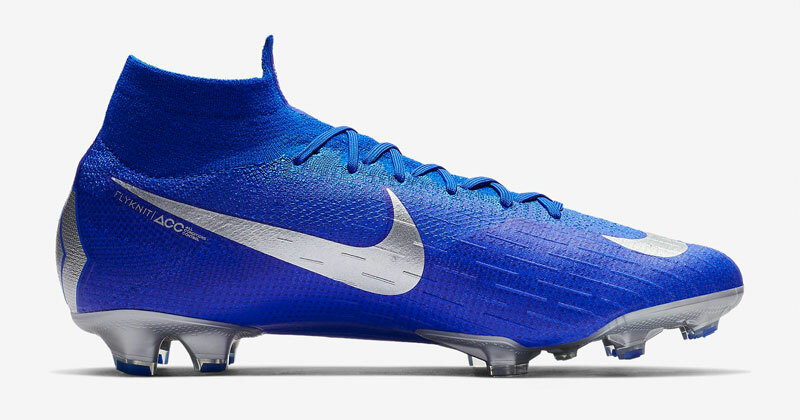 Boasting a truly innovative one-piece Flyknit upper, the Mercurial Superfly Elite VI wraps around the shape of the foot, enhancing the touch of the football and allowing players to control it at high speeds. Since the sheer freedom of movement allows players to move faster than ever before, this seems like an incredibly useful bit of boot tech to have. Coming alongside Nike’s signature All Conditions Control technology and Anti-Clog Traction studs, the Nike Mercurial is the most innovative football boot for wingers in 2018. Of course, that means it’s also one of the most expensive. Nike ‘Just Do It’ Mercurial (White/Total Orange), Nike ‘Fast AF’ Mercurial (Total Orange), Nike ‘Stealth Ops’ Mercurial (Black), Nike ‘Raised On Concrete’ Mercurial (Wolf Grey), Nike ‘Always Forward’ Mercurial (Volt/Black). Who Wears Nike Mercurial Superfly VI Elite? Cristiano Ronaldo, Kylian Mbappe, Alexis Sanchez, Marco Asensio, Douglas Costa, Wilfried Zaha, Xherdan Shaqiri, Kingsley Coman. The adidas Nemeziz is a completely different type of weapon. Although I don’t doubt Kylian Mbappe could still beat me in a race, these boots aren’t really tailored towards wingers with blistering pace. Instead, they’re designed for players that love to twist and turn their way past opponents and get into little pockets of space. 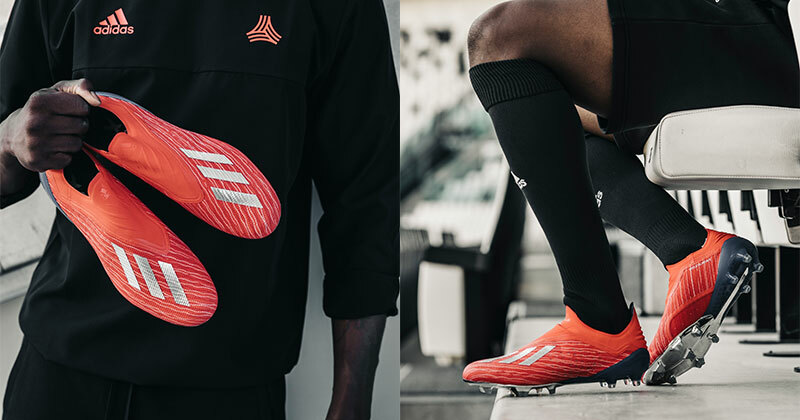 Built with the iconic 360 Agilitybandage system and Agilityweave material, the Nemeziz has always been about helping players unlock their mind-boggling agility and, ultimately, send opponents for a hot dog. Lightweight, supportive and available in a genuinely gorgeous collection of colourways, these boots are perfect for wingers who rely on unpredictable movement, rather than sheer pace, to make an impact. 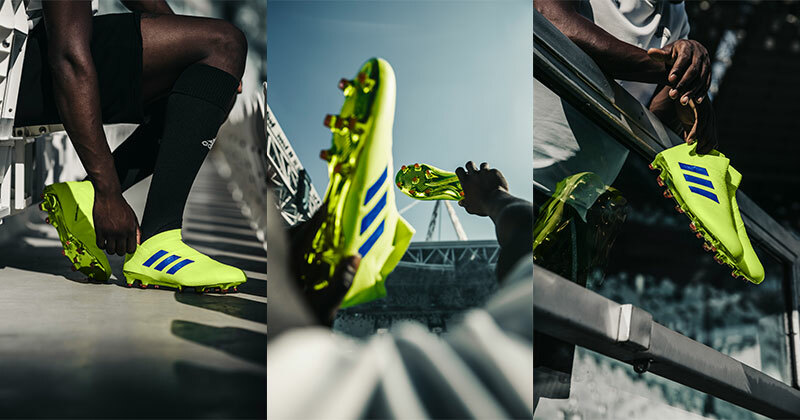 adidas ‘Initiator’ Nemeziz (Off White/Core Black/Active Red), adidas ‘Archetic’ Nemeziz (Core Black/Core Black/Football Blue), adidas ‘Team Mode’ Nemeziz (Blue/White), adidas ‘Spectral Mode’ Nemeziz (Ash Silver), adidas ‘Shadow Mode’ Nemeziz (Core Black), adidas ‘Energy Mode Nemeziz (Zest/Core Black/Solar Red). Lionel Messi, Jesse Lingard, Thomas Lemar, Julian Draxler, Juan Mata, Lucas Vazquez, Hatem Ben Arfa. 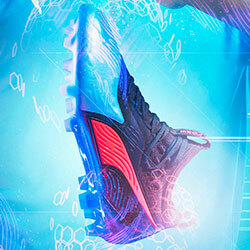 And then we have the Puma Future. Featuring some truly ground-breaking boot tech, these innovative designs have revolutionised the way laces are tied. The Future offers a fully-customisable lacing system, which ultimately allows players to find the perfect fit and take to the pitch in complete comfort. More importantly, this level of comfort makes it easier for you to quickly change direction, while a mixture of conical and bladed studs enhances traction and balance. 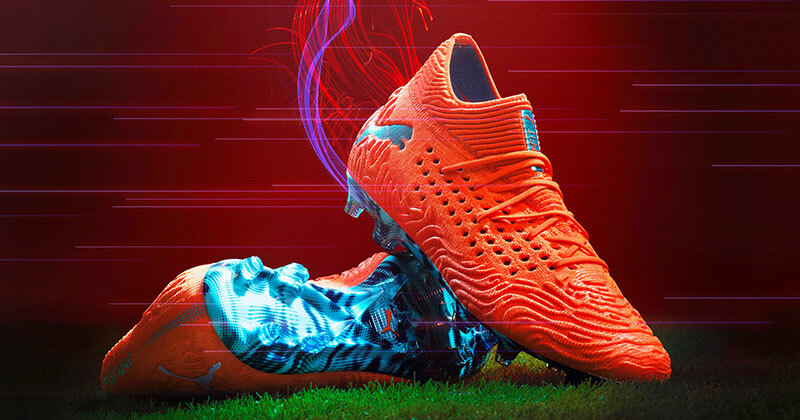 Ideal for turning the full-backs inside out, the Puma Future is a real all-rounder of a football boot, providing a great option for players who don’t know whether to prioritise pace or agility. Puma Future ‘Illuminate’ (Red Blast/Bleu Azur), Puma Future ‘Illuminate’ (Biscay Green/ Black), Puma Future ‘Eclipse’ (Black), Puma Future ‘Uprising’ (Shocking Orange/ Black), Puma Future ‘Stun’ (Puma Silver/Peacoat). Who Wears Puma Future 19.1 Netfit? Marco Reus, Antoine Griezmann, Luis Suarez, Adam Lallana, Usain Bolt, Marko Arnautovic. 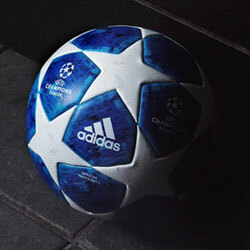 You can find the best prices on all these innovative football boots by shopping with FOOTY.COM. 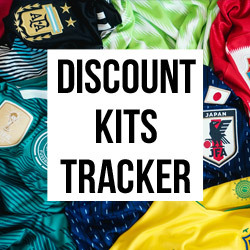 We’ve scoured the internet to bring you the best deals on the X, Nemeziz, Mercurial and Future, alongside a range of other boots perfect for wingers! 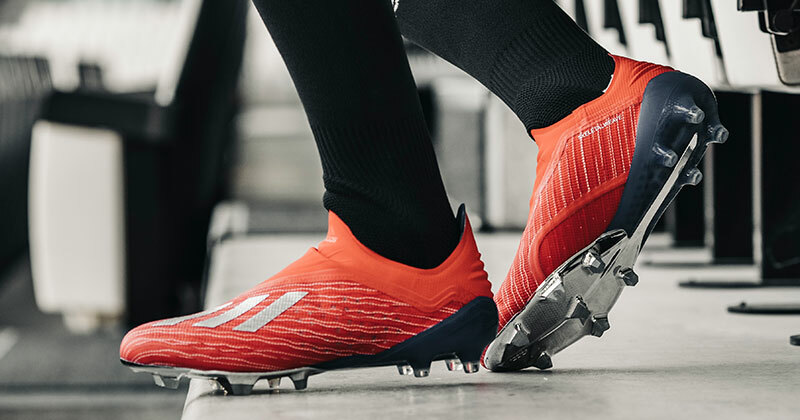 If you’re looking for the best boots for midfielders or strikers, than check out our other blogs to make sure you bag the perfect pair this season.